A look at people who are significant in the development of geek culture. Back when I was writing about my early days at Wizards of the Coast I mentioned that ConFrancisco had a person spend the entire convention portraying Emperor Norton. I promised to explain why that was a big deal at a later time. Norton I, Emperor of the United States and Protector of Mexico, was a prominent and beloved figure in San Francisco during the mid to late 19th century. Not only was he embraced by the city’s residents, but he also captured the imagination of more than one author, and has been included in many stories and the inspiration for many more. All this has made him a true geek culture icon, as well as a historical one. He was born Joshua Abraham Norton, in England sometime between 1814 and 1819, bad record keeping prevents us from knowing exactly when. He spent his early life in South Africa, and immigrated to San Francisco in 1849. A first, he was a successful business man, but after an import venture went south (and the loss of a related lawsuit) Norton left San Francisco in 1858. Nothing is really known of what happen during the following year, but in 1859 Norton returned to San Francisco and sent letters to several newspapers in the city proclaiming himself Emperor of the United States. The newspapers reprinted these letters, mainly for the humor value, and this just fueled Emperor Norton’s passion to carry on. Since America was now an Empire, Norton saw no need for congress any longer and made several imperial decrees calling for its disbandment. He also called for the abolishment of both the Republican and Democratic parties, and for the U.S. army to carry out these orders. Naturally, none of these parties paid any attention to these decrees. However, not every decree Emperor Norton made was outlandish. He called for the formation of a League of Nations decades before it actually happened, and for construction of a suspension bridge or tunnel to connect San Francisco to Oakland. When not making decrees Emperor Norton would spend his time conducting inspections of the streets and cable cars of the city. He wore a pseudo military uniform that included epaulettes and a beaver hat with a peacock feather. 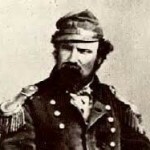 Now, it would have been easy to dismiss Emperor Norton as just delusional man wandering the streets of San Francisco but for one simple thing: the city loved him. Businesses sought his patronage and proudly displayed his imperial seal of approval. He ate at the finest restaurants in town, and theaters made sure he had reserved seats. Imperial money he printed himself was accepted by local businesses, and to this day are considered valued collector items. So beloved was Emperor Norton that he is credited with once stopping an anti-Chinese riot by positioning himself between the rioters and their targets, kneeling and reciting the Lord’s Prayer repeatedly until the mob lost their zeal and went away. 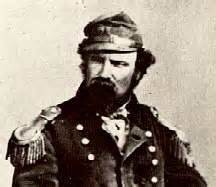 Today anyone acting the way Emperor Norton did would be put under psychiatric care. Well, actually, someone tried that in 1867. A young police officer arrested Norton to have him committed. The city was outraged and the police chief ordered Norton released and issued a formal apology. The Emperor himself issued an imperial pardon to the officer that arrested him. From that day on all police officers saluted Emperor Norton when they passed him on the streets. The story of Emperor Norton is one that has captured the imagination of so many that naturally has inspired several authors. Robert Louis Stevenson made Norton a character in his novel The Wreaker. Neil Gaiman wrote an issue of The Sandman about Norton. Barbara Hambly included him in her Star Trek novel Ishmael. Author Christopher Moore has written several supernatural humor novels set in modern day San Francisco. In these novels there is a prominent character called “The Emperor” who is clearly based on Norton. And that is just scratching the surface of the works he has inspired. Emperor Norton has even become a religious figure. Discordianism has made him a Saint Second Class. In the end, there was clearly something special about this man. He may have been living in his own world, but it was a kind place that he managed to share with the rest of us and left us some great stories to keep us inspired.